The general rule is to start dentist appointments for your child six months after the first tooth appears. However, many people postpone this based on the assumption that baby teeth will eventually fall off and as such, don’t need attention. If you wait for long, you increase the chances of developing plaque. A family or pediatric dentist Richmond Hill is responsible for children’s dental health. Early dental appointments will help prevent tooth decay. During the visit, you will learn how to clean your child’s teeth. Lack of proper hygiene is the leading cause of most dental problems including tooth decay. The visit will also help you in identifying your child’s fluoride needs. An optimal amount of fluoride is necessary to prevent tooth decay. However, if it is in excess, it can cause the teeth to have yellow, black and brown stains. Research also shows that excess levels could facilitate tooth decay. Your family dentist will help you to address the fluoride issues of your child. As a parent, you need to prepare your child adequately for the first visit. Most children tend to be uncooperative especially if they don’t understand the value of the procedure. You can bring a family member or friend to help you in case the child becomes uncooperative. If the child is old enough to understand, sit him or her down and explain the benefits of the procedure and what to expect. This will build up excitement and keep tantrums at bay. If the child has been treated before, you should bring the medical records to the appointment. During the first few visits, you can expect the child to be uncomfortable and frightened. However, after several visits the child will get more comfortable. 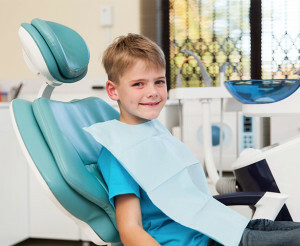 Family dentists are usually very friendly and will strike a relationship with your child within a very short period. For children under 3 years, the parent has to sit on the dental chair and hold them. The first sessions usually last for a few minutes and are scheduled early in the morning when the child is alert.